I'll be posting mine shortly. Dakohta's is insane. Wow, mine pales massively in comparison with Dakohta's. I kinda just built mine into my base. I'm making mine a giant monkey head to hell. WITH a q-tip in it's ear. 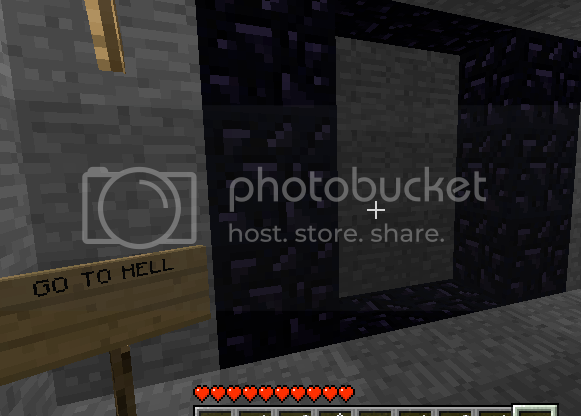 My Goal: room with doors and a block to mark the lava. Currently: No room, no , no , no , and no guts. I was the second person to use the avatar I have. The rest took it from me. The first I asked, he said yes. I know what I'm doing. I plan ahead, or get tired and screw up everything. Will lol at people that make the portal, say: Oops i forgat my bucket, go to base, return to the portal and get eat by evil kitty monster. I have two gate rooms: One in my floating castle, the other in my underwater base some ways away. Both rooms are identical, and are created from solid, cast obsidian. Made me a nice facility,complete with an emergency exit in the control center(2nd level,includes preparation room observation area) the red light sticking from the glass control center above the double doors does nothing,just has a switch in the control room,used as a indicator,on=don't go in. i think the flood gate is ganna be awsome for security. Ladder down to portal room under the pool. 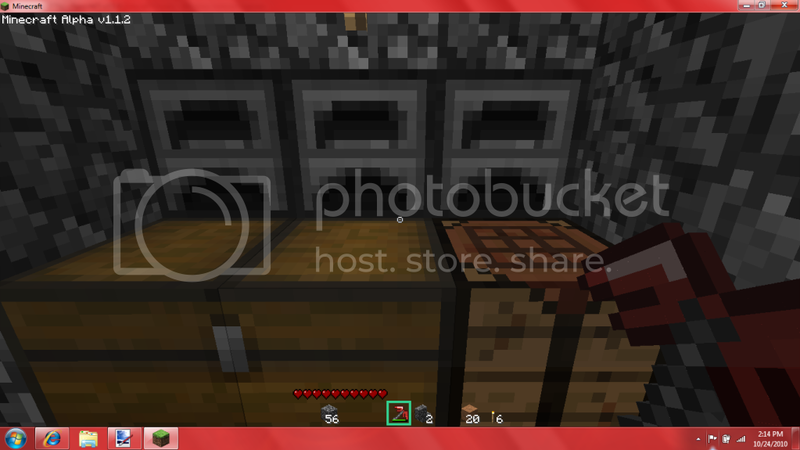 Ladder that led to portal room also has an indented ladder that leads to my bedrock mining area. This way from a distance it looks like it is just one double width ladder. Also lined with obsidian. Hallway to portal room. Lava for lighting floor is cobblestone for nice look. 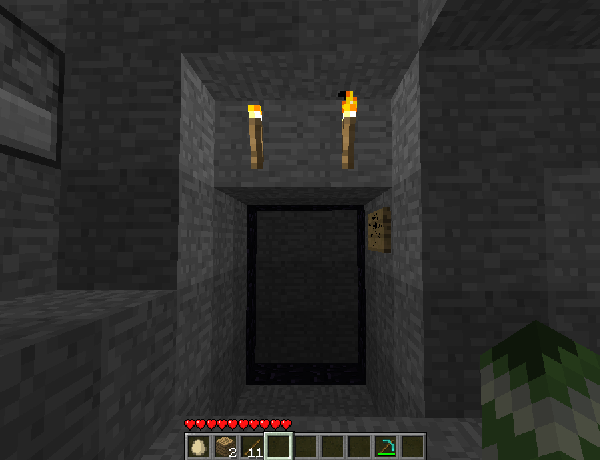 Ceiling and walls are obsidian. Two block depth waterfall between hallway and portal room. 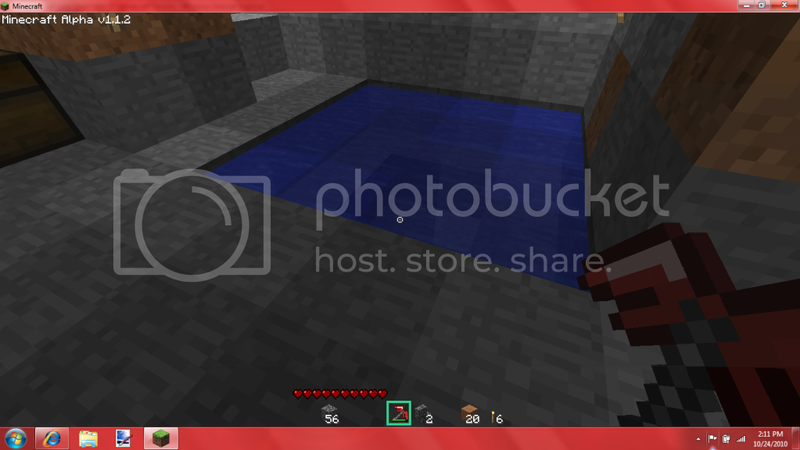 To drown possible future mobs and maybe hurt the Ghast if water has any effect. Portal room ceiling and walls are obsidian. Lit by lava pools on either side. No reason to use anything special behind the portal since the portal itself will cover it up. Does an area where water falls count as an empty area? 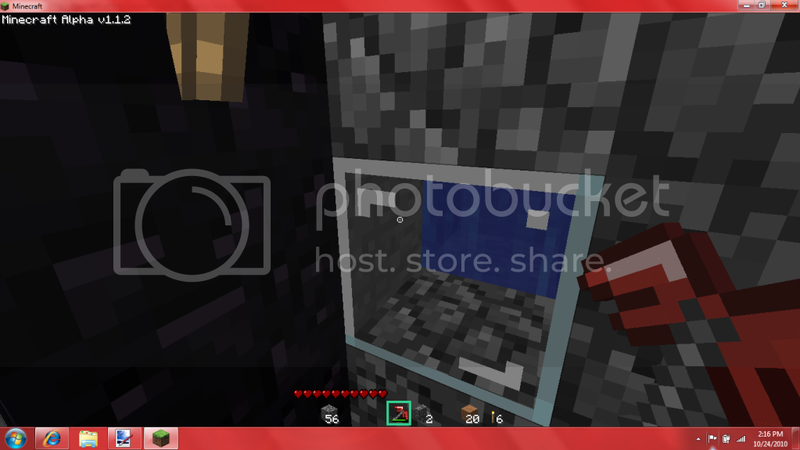 Because my room its just small enough that a Ghast can't spawn unless the waterfall is counted as an open area then my room is big enough to spawn one. Just a thought, but if the hellgate works by being lit on fire, couldn't one de-activate it by dousing the flames? Assuming that's actually possible, may be it'll be quite simple to set up security for it. 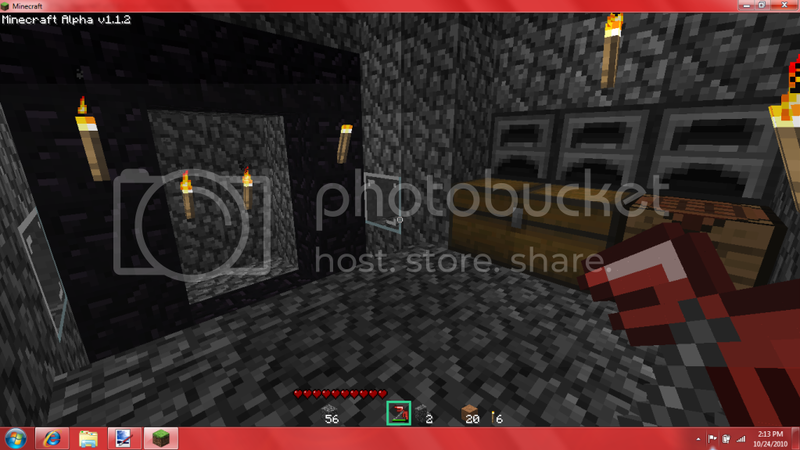 I assume people are using all that lava for thematic effect, since ghasts are supposedly immune to fire. 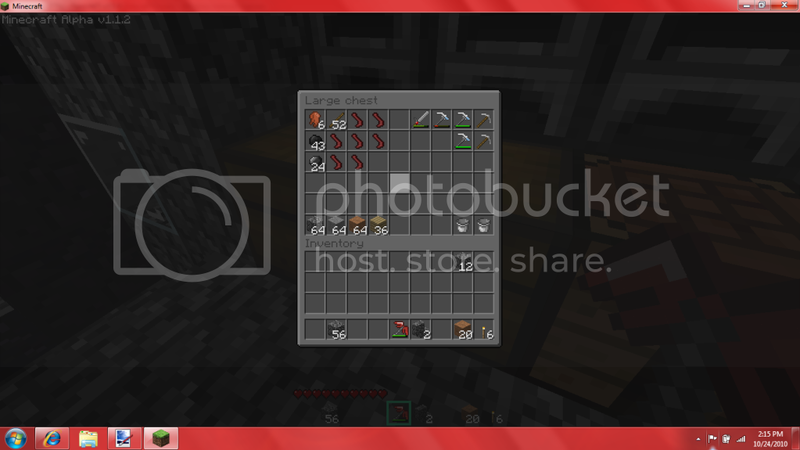 Well some people are putting lava incase other mob are not immune to fire. If you break a block of the portal, what happen? 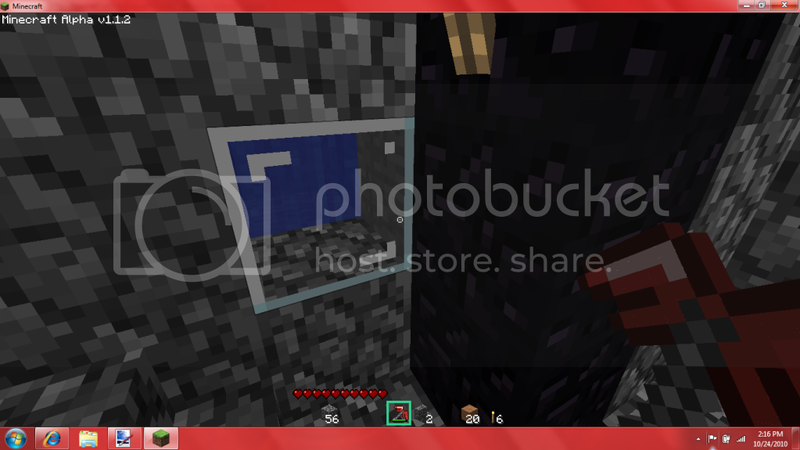 -1 block break, portal stop working. -the portal break lose and send you warping in hell with no portal to send you back.